Engaging your employees and customers is the best way to build loyalty to your products or services. We can help you plan, establish, execute, and follow up on engagement programs that are geared towards your most important goals. These programs are not restricted to large corporations; we have the tools to help small and medium sized companies achieve an effective and measurable engagement campaign. See below for more information on our customer and employee engagement programs. What is employee & customer engagement? Employee engagement is the level of emotional connection an employee has to your organization and its goals. An engaged employee is committed to working and helping your company achieve its goals, these employees actively care about your organization. Customer engagement is when your customers are emotionally charged and loyal towards your brand. An engaged customer will feel a sense of pride when using your products or services. They also actively promote your company, meaning better word of mouth and positive public relations. Disengaged employees cost your business a lot of money - it also negatively impacts your efficiency and ability to achieve success. Disengaged customers are easily attracted by your competitors. We will sit down with your team and develop a tailored strategy designed to meet your specific goals. Employee engagement can be measured by utilizing surveys, interviews, and one-on-one meetings. We will then decide which of our programs is the best fit. Depending on your specific organizational goals, our EmployeeFirst Incentive Program will ignite the motivation of your employees to increase their productivity as well as their commitment to your company. This program is fully customizable and can be set up using a variety of measurement methods and incentive techniques. Health & Wellness Programs: Healthy employees perform at a higher level and miss less work. Get them excited with discounted gym memberships, cost-effective wellness prizes, and company athletic events. Points Program: Encourage competition and participation within your company with our tailored points program. We will work with you to establish the behaviors and goals you would like to reward. Once those are established we will assist you in measuring and analyzing the progress of your goals. We have thousands of redeemable prizes including gift cards, electronics, and apparel. Group Incentive Programs: Increase teamwork within your organization by implementing a group incentive program. 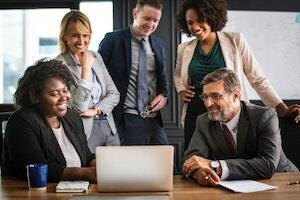 There are many possibilities and a lot of flexibility when it comes to our EmployeeFirst Incentive Program, the first step in analysis and strategy involves identifying the goals that are most important to your company, from there we will assist you in choosing the program that provides you the best fit. How important are repeat customers to your company? Why is it vital to your goals that clients buy your products again and again? According to the Harvard Business Review it is five to 25 times more expensive to find and attract new customers as it is to retain existing ones. Maintaining the right customers is extremely valuable, so how do you measure your retention rate? Why do customers stay with your product or service? What customers have left, and why? How do you reach existing customers and make them feel special about working with your company? During our initial strategy session we will also gather your organizational goals and review sample programs so you can get a vision of your journey towards more loyal customers. Similar to our EmployeeFirst Incentive Program the CustomerFirst Program utilizes different types of incentives to make your customers feel good about doing business with you. The key to choosing the right incentive lies within how much added value it provides your customer. We will assist your team in identifying what makes your customers tick, and then we will help you decide which incentive is the best fit. Whether it is a gift card program, point based programs, or a tiered system based on purchases, we have solutions that will make your customers proud to utilize your products. Make sense of your company's data during our discovery session. Our professionals will take your data and transform it into a snapshot of your organization that will become the basis of your engagement program. Our easy-to-use platform is perfect for running all of your engagement programs from one place. Viewing analytics, setting specific goals, and sending messages to participants are just a few of the many features available to your program manager. You can either start small, or take a fully customized approach to your platform, our team of professionals will work with you every step of the way so that you get measurable results. Our goal is to be an extension of your team, that's why our professionals are with you every step of the way. Your program comes with a dedicated account executive that is focused on assisting you with whatever questions you may have and is there for you to provide feedback and guidance on effective practices that will help you get the most out of your program. Periodic review sessions allow our team to present the results and analytics of your program in a format that is easy to understand. These review sessions and recommendations are important to the ongoing review process so that your program remains successful and effective.